,The crystalline quartz group occurs as prismatic crystals often with pyramidal or bi-pyramidal terminations and is known simply as Quartz. Quartz is composed of silicon dioxide and is transparent to translucent. When clear quartz is imbued with other minerals it takes on various colours and characteristics that form the varieties of quartz, such as Amethyst and Citrine. The colours include, colourless, pink, purple, green, yellow white, brown. grey and black. When quartz contains silky fibrous inclusions of crocidolite it exhibits chatoyancy and is called tiger eye. Even though all coloured quartz has inclusions or is irradiated to create the colours, some are more well known and readily available than others. I have created this page to discuss the well known quartz crystals such as Amethyst, Aventurine, Rose Quartz and Smoky Quartz. For the crystals with a lot of information I have written a brief overview with a link to the more in-depth crystal page, for the others, the information is here. Amegreen is a combination of amethyst and prasiolite. The stones come from Africa, and the crystals grow in conjunction with white quartz. The best specimens show distinct bands of all three colours, and the purple amethyst sometimes occurs in a chevron pattern. Prasiolite is itself a rare stone, but amegreen is even rarer and may soon disappear. Amegreen’s ability to ground high-frequency light energy into the physical, makes it a joyful companion in the healing process. It is useful for all types of ailments involving the heart. It helps stimulate the healing and repair of the body, making it a good all-around healing stone for recovery from physical injury or trauma. Amegreen assists you in releasing negative emotional roles and ego based identities, freeing you to express yourself fully. It exudes an energy of love, peace and fulfilment that is very helpful in achieving emotional balance in your life. Amegreen brings the frequencies of love, peace, consciousness and compassion to one’s energy field. It assists one in dropping ego-based emotional patterns and in evolving beyond the perceived wounds and trauma of the past. Amegreen can assist one in maintaining a calm and peaceful inner centre, and in communicating one’s highest awareness through one’s presence and energy. Amegreen provides a wellspring of emotional support, helping one to heal past wounds or simply to lift the veil of sorrow or depression. The amethyst aspect of amegreen stimulates the third eye and crown chakras, assisting you in connecting with the Divine. It activates intuitive and psychic abilities, enabling you to receive more information from the spirits. The prasiolite aspect of amegreen’s energy encourages the expression of consciousness through the heart with compassion. This stone stimulates physical and emotional healing. Amegreen gently stimulates the higher chakras, opening the psychic and intuitive centres and enhancing psychic ability. It facilitates meditation, lending a calm sense of surrender to the Divine. Amegreen helps ground the energy of pure consciousness into the physical body, facilitating healing. Amethyst is a member of the Quartz family. Its colour, which varies from pale to deep purple, is derived from the combination of trace amounts of iron and aluminium, plus natural or applied irradiation. Amethyst is one of the first stones to which people are attracted when beginning their work with the mineral kingdom. Its beautiful purple light combined with its high, sweet energy makes Amethyst a necessary item in any crystal worker’s tool kit. Amethyst is a classic meditation tool. Its energy allows you to easily enter into a meditative state and to maintain conscious awareness while in communion with the Divine. Ametrine is a combination of Amethyst and Citrine in the same stone. It is a member of the Quartz family. Its yellow and purple bicolored appearance is striking, and the best specimens are usually faceted for jewellery. Ametrine is found in Brazil and other parts of South America, but the best natural specimens in recent years have come from Uruguay and Bolivia. These two powerful energies work together in Ametrine to develop your ability to take action and to overcome your fears. The Amethyst aspect of Ametrine connects you to the spiritual realm, where you can receive instruction from guides, and angels. The Citrine aspect of Ametrine aligns your centre of will (the solar-plexus chakra) with the third eye and crown. ​Aventurine is a member of the quartz family. Its name is derived from the Italian a ventura, a type of glass discovered around the year 1700. The name was chosen because of the likeness of the glass with its randomly spaced iridescent sparkles to these stones with their similar markings. Aventurine is found primarily in three colours—green, blue and red-brown. The colour of green Aventurine comes from microscopic fuchsite particles within the quartz, and the colour of red aventurine comes from inclusions of hematite. Blue aventurine is coloured by inclusions of copper silicates. Major deposits of aventurine are found in Brazil, India and Russia. Azeztulite is a variety of quartz. Originally azeztulite came from a single find in North Carolina around 1970, and over thirty years later a second deposit was uncovered in Vermont. Since then, over a dozen varieties of Azeztulite have been discovered around the world. Azeztulite's are not distinguished by their chemical makeup, which is always quartz and sometimes combined with other minerals. The distinct high vibration energy currents that are particular to these stones are what make them Azeztulite. Brandburg or Brandberg quartz has an exceedingly high vibration. A powerful stone for spiritual alchemy, it connects to the immensity of your spiritual being. Attuned to the white flame of pure consciousness and emanating infinite compassion, this stone is perfect for deep soul healing and forgiveness work. This stone is an effective aid to work at all levels, rapidly linking to multi dimensions, this stone assists in looking inward or climbing the vibrational ladder to other dimensions. Brandburg quartz attaches a cosmic anchor deep in the earth and at the centre of the galaxy, ensuring and inner core energetic solidity no matter what changes occur. Facilitating an objective viewpoint, it is useful when travelling to dimensions of which you could not otherwise retain consciousness awareness. This stone instils brainwave combinations that enhance meditation, regression and healing. Although a hugely versatile crystal as each one carries the resonance of clear, smoky and amethyst vibrations, more than any other stone Brandburg Quartz's are person specific and task related. When you find your particular stone, you just know, but you may need several, as one could be attuned to earth healing, another to soul or karmic healing and so on. There are Brandburg crystals that do everything and they may be tiny or huge - size doesn't matter, it is the resonance that counts. Call your brandberg to you in the spiritual dimension as you seek the physical stone. This stone is the gatekeeper that protects against psychic attack, and repels negative energy, calling in positive light. It holds a light when working in shadows or underworld, especially during soul or child parts retrieval, and facilitates purification and integration of those parts into your present self. Placed on the soma, soul star or stellar gateway chakras, Brandburg quartz will attune you to your core, spiritual identity , facilitating true self reflection and consciousness activation. On the heart chakra it identifies forks in the road where a conscious choice is needed. Brandburg heals the imprints and effects of trauma in previous lives, no matter in what dimension those lives were lived. On the brow chakra, this stone removes blockages to spiritual or psychic sight and accesses guidance from the purest source. Brandburg Quartz works by restoring to its perfect energetic state the etheric blueprint from which your physical body was formed by taking it back to the highest vibration and attuning to the original. The healing filters into the mental, psychological, emotional and physical bodies, restoring balance on all those levels. Brandburg Quartz clears the heart chakra and opens the throat so that spiritual truth is spoken with unconditional love and compassion. it quickly disconnects a previously made relationship that has resulted in intertwining at the higher chakra. This stone accelerates convalescence and restores vitality by taking you into the most perfect energetic state possible. A master healer that supports recovery from illness and depletion and restores vitality; helpful for concussion and immune deficiencies, chronic fatigue , limbic brain function and multi dimensional cellular memory healing. Citrine is a silicon dioxide mineral and is a member of the Quartz group . Its yellow pigmentation is derived from iron. It varies in shade from very pale yellow to a deep amber, nearly orange, with some specimens exhibiting brownish tinges. The name Citrine comes from the French word citron, meaning lemon. Citrine was used as a gem in Greece as far back as 300 B.C. and was worked into cabochon ring stones and intaglios in Greece and Rome through the first and second centuries A.D.
Much of the commercial Citrine on the market is heat-treated Amethyst. In general, the deeper amber and orange shades are heat treated. Natural Citrine's are mostly a pale yellow colour. 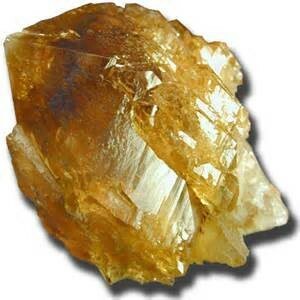 Deposits of natural Citrine have been found in Brazil, Africa, Madagascar, Spain, Russia, France, Scotland and the USA. A Phantom Quartz Crystal shows the clear delineation of another completed crystal inside the major crystal. Many times you will notice several complete crystals inside one another. In geological terms, the first quartz crystal stopped growing due to lack of mother, or SiO2 feed, solution. During this rest time, cave dust settled upon the original crystalline structure (i.e. quartz crystal). When the mother solution was reintroduced into the cave, rather than a new and separate crystal forming (the most common process), the mother solution reformed over the original crystal, trapping and enclosing the cave dust or dirt and giving the crystal a ghostly look, thus the name phantom. ​Prasiolite is a member of the Quartz family. Its name derives from the Greek word meaning meaning ‘leek,’ and prasiolite’s colour is leek-green. Prasiolite starts out as a type of purple amethyst, found in the Montezuma deposits in Minas Gerais, Brazil, and its colour is changed to green by heat, possibly by volcanic thermal activity which changes its chemical structure. In addition to Brazil, prasiolite also is found in Arizona, USA. Prasiolite refers to a green quartz, most prasiolite is obtained by heat treating amethyst, which is why the trade tend to give this stone the name green amethyst although with the treatment it really ceases to be amethyst. Natural occurrences of this stone still exist. Prasiolite helps reduce blood pressure, rebalance the blood, and relieve muscle cramping. Use this stone with the intention to improve energy after experiencing constipation or diarrhoea to restore your energy and normal, healthy processes. It can also be used to ward off germs and viruses. Work with prasiolite to improve iron deficiencies and rebalance yourself when dealing with health challenges due to deficiencies. It is beneficial for strength and endurance via improved muscle strength. Prasiolite protects the spleen from energy depletion, reversing a martyred disposition or a feeling that you have to give your all for someone or something else, deeply depleting your energies in the process. Prasiolite is an excellent stone for supporting the physical heart. It is also useful in issues of digestion, stomach acid imbalance, assimilation of nutrients and cellular nourishment. It can aid in remedying eating disorders. Prasiolite strengthens your heart's abilities to accept emotions and emotional challenges. It is beneficial when you are feeling stuck in a relationship and need to make a shift either through accepting your change of heart or by giving yourself the permission and courage to talk the situation out to reach resolution and deeper states of intimacy. Prasiolite supports those with a needy disposition to find confidence within themselves through their connection to the earth. Prasiolite fosters compassion, self-acceptance and self honour. It reminds us that we can all share love and that sharing love is the first and most important act. It enables you to receive the energy of love, reminding you that in receiving this frequency from others or from the Divine, you are honouring the heart of the Creator. Prasiolite is an excellent tool to improve your ability to stay focused and see a task to its completion. This stone is especially useful to have by your side or in your pocket when you have long hours of mental activity ahead of you. It adds to your mental strength and perseverance. Prasiolite carries the vibration of protection and helps to strengthen you auric field. it also amplifies your ability to sit in mediative states for long periods, The pale green of this stone opens pathways in your consciousness to accept the challenges of spiritual fortitude. Use this stone for rebirthing or any spiritual practice that uses the breath for transformation and enlightenment. This stone is useful for contact with your higher self, meditating with it assists in embodying that energy an projecting it into everyday life, grounding and manifesting your spiritual purpose. If you have difficulty recognising the innate divinity of yourself for everyone else, wear prasiolite over your heart. Prasiolite is useful for shamanic journeying. Going into deep connection with all that is, it assists in unwinding ancestral patterns, meeting the spirits of your ancestors. Prasiolite assists those who are ungrounded in connecting with the Earth, while it stimulates those who are overly concerned with Earthly matters to open to Spirit. It allows you to attune to the frequency of Love, which is the basis of all spiritual knowledge and the means through which that knowledge is shared. Rose Quartz is a member of the Quartz family. It usually occurs in massive form but sometimes grows in clusters of small prismatic crystals. Its name is derived from its colour, which ranges from very pale pink to deep reddish pink. Its clarity can range from opaque to translucent to transparent, although most transparent pieces are rather foggy. In some specimens, traces of Rutile within the stone cause six-rayed stars in cabochons or spheres. 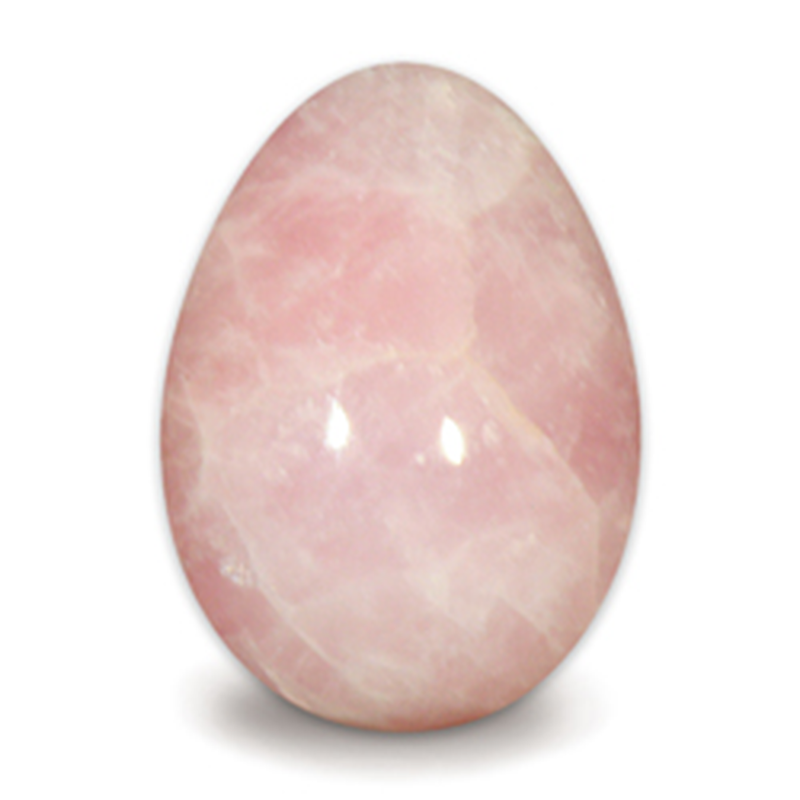 Rose Quartz is found in Brazil and Madagascar, as well as South Dakota in the USA. Rutilated quartz is a combination of Clear or Smoky Quartz, with inclusions of Rutile, a titanium oxide mineral. 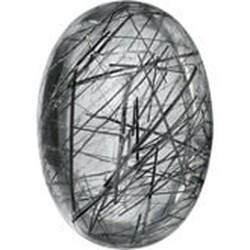 The Rutile inclusions usually look like fine metallic hairs or needles, and they can be gold, silver or copper coloured. The quartz can occur in massive form or prismatic crystals. Most rutilated quartz on the market comes from Brazil or Madagascar. Rutilated quartz is a reminder to protect yourself from harmful ultraviolet rays. Use this stone to improve your energy levels. The gold rutile inclusions enhance your physical endurance. It adds Chi or life force to the body, mind and spirit. Some legends say that this stone slows the ageing process. Hold this stone during meditation to visualise increased wealth and prosperity. The energy emitted from this stone will amplify your financial success and abundance. Rutilated quartz can be used to help with the phenomenon of ‘phantom pain’ when a part of the body is amputated, yet is still felt. It helps stimulate hair growth and can be used to help counter hair loss. Rutilated quartz is also useful in helping to stitch wounds together, so they heal more quickly. Rutilated quartz is helpful for chronic conditions such as bronchitis, asthma, upper respiratory tract disorder and Chronic obstructive pulmonary disease (COPD). It is helpful for impotence and infertility. Also for exhaustion, energy depletion, thyroid and it will stimulate the growth and regeneration of cells and tissues. Rutilated quartz brings a joyful vibration into your energy field. It is used to help you feel less overwhelmed by life's responsibilities. This stone is self empowering. Use it to find the shining light within you, and step away from the useless act of downplaying yourself. With its ability to boost courage, this stone is beneficial for improving your self esteem. The golden energy in rutilated quartz promotes fine tuned thinking. This stone is useful for tapping into higher thought and wisdom. When you focus on the rutile in this stone during meditation and visualisation you can better maintain focus and eliminate scattered thoughts. Therapists and counsellors should have a rutilated quartz specimen in their work space because it will draw negative energy from their clients and at the same time support them both during the the session. 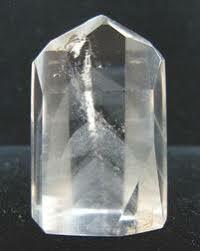 ​Rutilated quartz represents the halo of light surrounding your head, or crown chakra. Use this stone to improve your intuitive skills and your connection with guides, angels and your higher self. With its ability to ward off negativity, rutilated quartz is a good stone for protection. It is excellent for telepathic communication, for creative endeavours such as art or writing, or for enhancing your psychic abilities. Smoky quartz is a variety of quartz. Smoky quartz can vary in colour from very pale tan to deep chocolate brown. Its colour comes from natural irradiation. Clear quartz can be made smoky artificially by treating it with radium or x-rays. Smoky Quartz is found in many countries, including Brazil, Australia, Madagascar, Switzerland and the USA. Smoky quartz is an excellent stone if you wish to stop smoking. It helps to eliminate the urge to smoke and also softens the anger and agitation associated with nicotine withdrawal and the detoxification process. 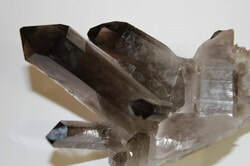 Smoky quartz is best used to counter the negative effects of radiation, including sunburn, exposure to radioactive materials, medical radiation therapy and exposure to focused electromagnetic fields. It will help you with diseases of the abdomen, hips and legs. It relieves pain, including headaches and benefits the reproductive system. Smoky quartz eases muscular cramps, strengthens the back, fortifies the nerve endings, regulates body fluid, and the benefits the heart. ​Smoky quartz relieves fear, lifts depression and brings calmness. It is said that it will ease suicidal tendencies. Smoky quartz takes away any inhibitions that you may have about your body and sexual nature, thereby enhancing the base chakra so that all the energies can flow again. It stops nightmares and night terrors, it will ease negative emotions. When emotional trauma has been released, place this smoky quartz on or near the areas of the body associated with the trauma. Visualise the stone cauterising the emotional scar to prevent any further damage or repetition. This stone can also help you get out of hot water when your or others emotions are steaming. It can help you feel more engaged in the world and capable of creating or changing your reality. Smoky quartz helps eliminate doubt and worry when you are faced with chaos and confusion. It helps you feel safe and sound. With intent, smoky quartz will realign your scattered energy. Smoky quartz is an especially good protection aid for use during spiritual ceremonies and rituals. Use this stone to maintain protective energy and deflect psychic attacks. Smoky quartz can be used to deflect electro=magnetic output from computers and other electronic devices. Spirit Quartz is an unusual variety of quartz. It displays an unusual growing habit, a central candle-shaped crystal form with faceted termination, and a main crystal body covered with small terminated points. Most spirit quartz is amethyst, but some citrine's and whitish quartz have also been mined as well. Spirit quartz is found only in South Africa. Its name is derived from a similarity of the purple amethyst colour to that of a popular (in South Africa) window cleaning solution named Spirit. They are also known in some circles as Cactus Quartz or Porcupine Quartz. 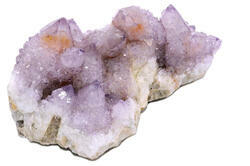 Spirit quartz is excellent for healing, especially in crystal layouts. It brings the energies of a layout into a coherent, harmonic energy field. It allows the physical body to become clearer and more aligned with the energetic bodies, helping treatments to be more effective and long-lasting. Spirit quartz encourages cooperation, group consciousness and a willingness to put aside the self in favour of the higher good. It is an excellent companion for those who tend to be self centred, confrontational, egoistic or anti-social. It can assist those who have a fear of social situations to become more open and friendly, and less shy. Spirit Quartz is a stone of alignment and harmony, assisting the physical, emotional, mental and spiritual bodies to resonate fully with one another. Tourmaline quartz is clear quartz which has inclusions of black tourmaline (Schorl) running through it. Most of it is found in Brazil, and specimens can range from completely cloudy to water clear, with fine threads or clumps of black tourmaline. This unusual combination of two stones in one creates a unique and beneficial energy pattern. Tourmaline quartz is useful for deflecting electromagnetic frequencies emitted from cell phones, computers and other electronic devices, This stone will help you identify and heal sources of physical toxins by increasing your awareness of what needs to be cleared out in order to achieve and maintain good health. Tourmaline quartz detoxifies the entire body and is used to treat disorders of the digestive tract. Tourmaline quartz can aid those attempting to purify their bodies after substance abuse and those who are attempting to improve their diets. Tourmaline quartz helps draw out dark, negative emotions so they can be released. Use this stone when you overreact to a situation or a person and need to understand the reason for the negative reaction. With this stone, locate the source of the emotional problem so you can begin to heal. This stone is a powerful shield stone that, depending on the desired intent of the wearer, can amplify and return negative energy, like a mirror spell, or can convert the negative energy into positive energy for the wearer. ​Tourmaline quartz strengthens the body's energy field against external invasion and deflects detrimental environmental influences. ​It is often seen as a symbol of unity and is an effective problem solver. It eliminates crystallised patterns which are, or may have been, destructive in your own life and releases tensions at any level. Its liberating power against negative energy can be used to assist you to actualise the strength needed to alleviate negative or hostile relationships and situations. Tourmaline quartz balances yin/yang energies. It harmonises disparate and opposite elements and polarities, and turns negative thoughts and energies into positive ones. This stone helps to integrate and heal the shadow energies, alleviating self-sabotage. It harmonises the meridians, the subtle bodies, and the chakras. Tourmaline quartz helps you integrate your spiritual practice into everyday life. It allows you to go deeply into previously hidden aspects or your consciousness.